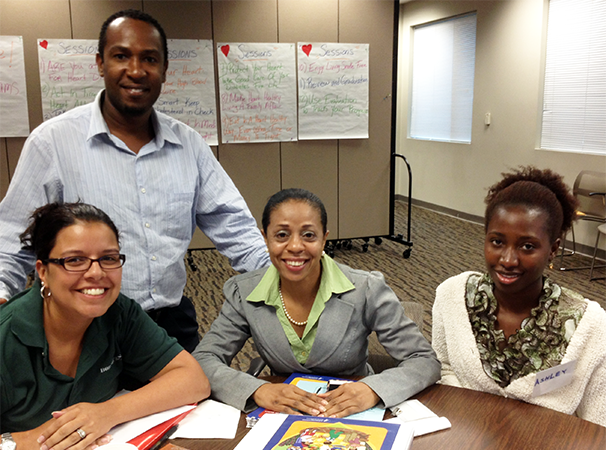 Are you thinking about starting a heart health program engaging community health workers? You will find the stories and ideas of organizations running heart health programs throughout this toolkit. NHLBI designed these heart health materials with community health workers (CHWs) in mind. Since 1994, CHWs have used these resources in communities across the country to implement heart health programs. What if you do not have CHWs on staff and do not intend to start a CHW program? You will still find many ways that our materials can work for you and your education needs. For example, you can use our materials for health outreach, education, and special events. You can also share different materials, like cookbooks and handouts, with your patients and clients. Are your CHWs trained to be trainers? It is important to train your CHWs in heart health. You will also need to train them in other skills. These include core competencies such as doing outreach, being effective educators and presenters, and providing cultural awareness. Building heart health and other skills will help your CHWs be competent and confident trainers and teachers. Contact CHW networks, associations, or other CHW groups in your area. They support CHWs through training and advocacy. They will know about certification programs, conferences, and trainings. The Community Health Worker National Education Collaborative provides a list of national and state networks and associations. Check to see if community colleges in your area teach CHW courses. Migrant Health Promotion’s Supervision Manual for Promotor/a de Salud Programs provides basic guidelines for supervisors of CHW health programs. They also have a bilingual booklet of activities to help CHWs energize groups and enhance learning. The Community Health Workers Evidence-Based Models Toolbox from the Health Resources and Services Administration Office of Rural Health.